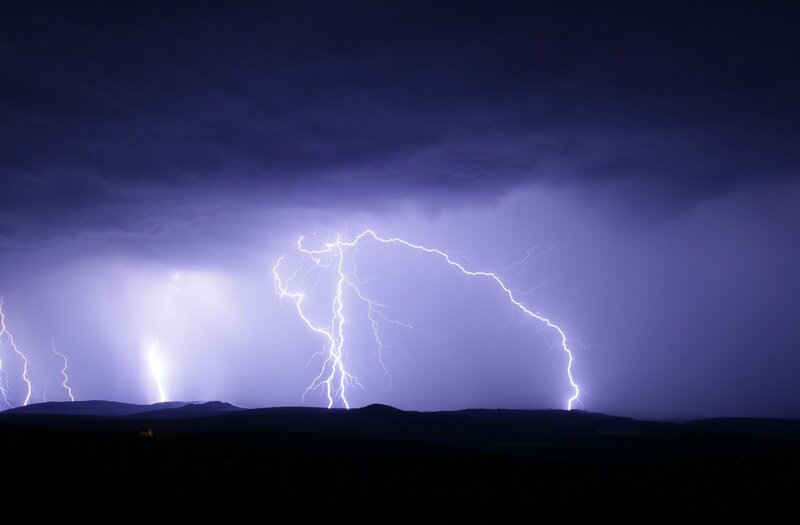 A team of researchers from several institutions in India and Japan has found that it is possible to use a muon detector to measure electric potential in thunderstorms. The paper is published in the journal Physical Review Letters. The researchers explain that they noticed muon detection levels drop during thunderstorms, and used that information to calculate electric potential in thunderstorms. Lightning bolts that flash across the sky are ample evidence that storms produce electricity. Over the past several decades, scientists have sent balloons and planes into storms to learn more about what goes on inside of them. But the sensors used in such efforts have only been able to capture data about very small parts of storms. In this new effort, the researchers developed a way to capture one critical measurement of an entire storm—its electric potential.